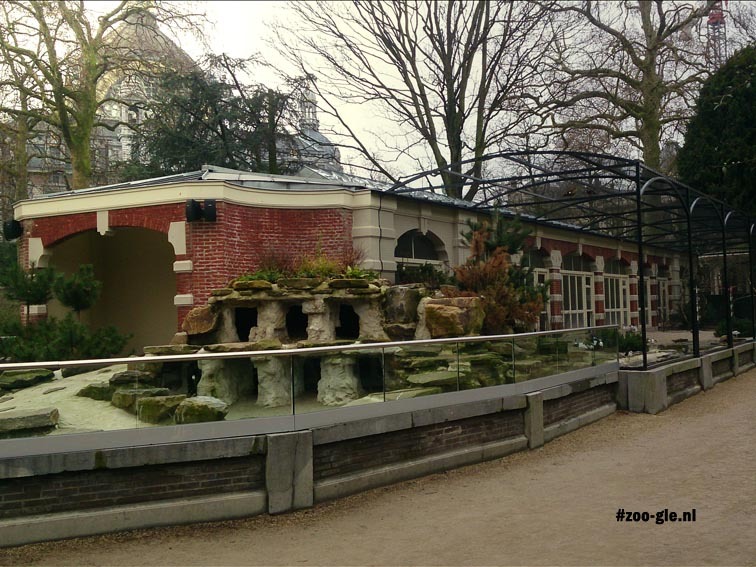 The Antwerp zoo is altogether a living museum, fulfilling the functions of collection, exhibition, research, and education. The 19th century is often seen as the golden age of museums. Architect K. Servais has modeled the 1855 Egyptian temple for big African species after the Egyptian Court at the Crystal Palace in London*). 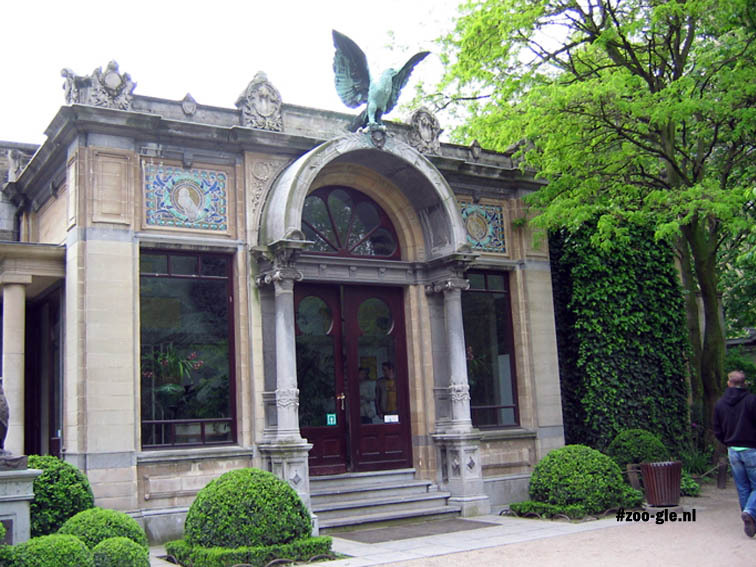 In keeping with the architect's own conception, the walls of the porch are adorned with Egyptian paintings and hieroglyphics symbolizing the relationship between the Royal Society of Zoology and the city of Antwerp, in 1860. The orientalist Delgeur supervised the realization of this long-cherished wish of the architect. 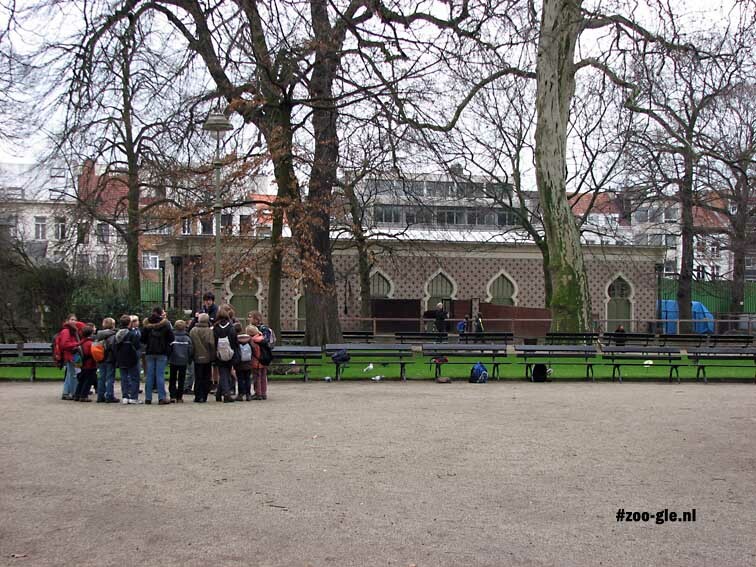 The enclosure has undergone several renovation projects and has last been updated according to the master plan in 2015. The temple will be used for educational purposes in the near future. It's always been more a great example of exotic architecture than an appropriate area for animals. Between the elephant and giraffe enclosures, an orangery containing a tropical botanical garden and a catering section will be added. *) The World’s Fair 1851 was held in the purpose-built Crystal Palace, opened in London, and destroyed in 1936. In the 19th century, the Moorish temple (1855) is an abode for flightless birds like ostriches. The Congo becomes a Belgian colony in 1908, and the first ever export okapi arrives in 1919. 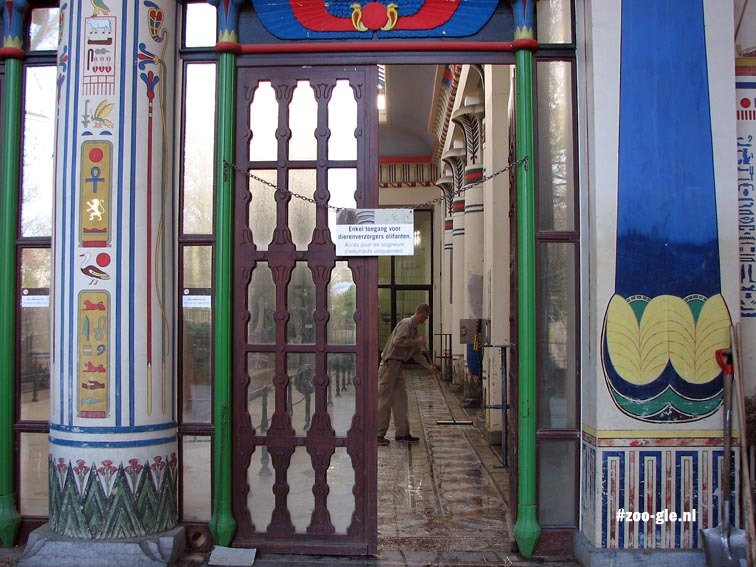 The okapis have been housed in the Moorish Temple since 1965. 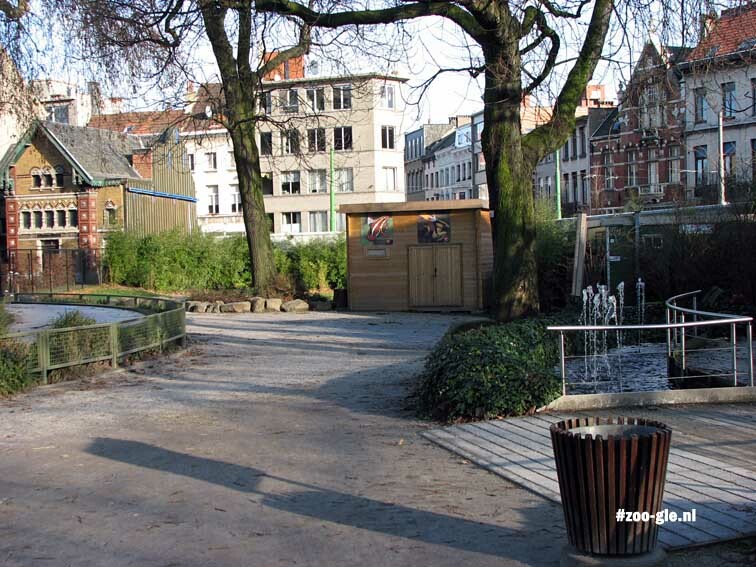 Three out of four okapis in captivity have Antwerp blood. 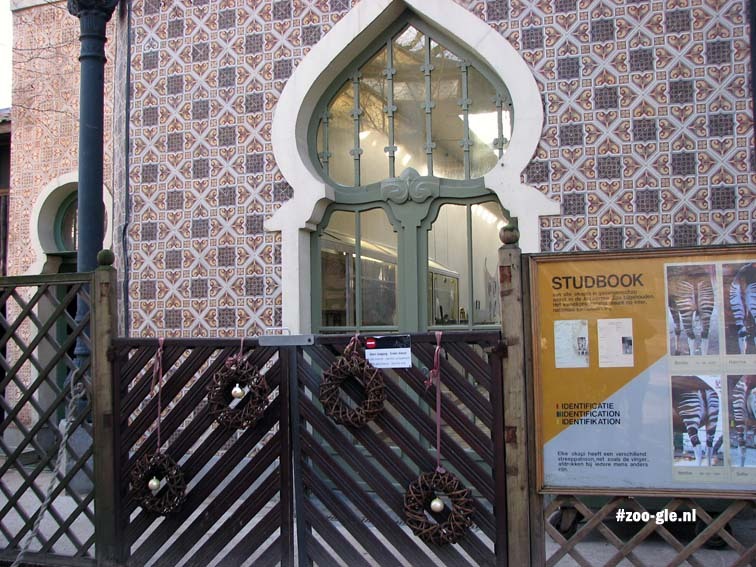 Building and animals represent the colonial places of their origins: strange, colorful, exotic. Until the early 20th century the entrance was located in the current Carnotstraat, originally. It is still in use as a service entrance. 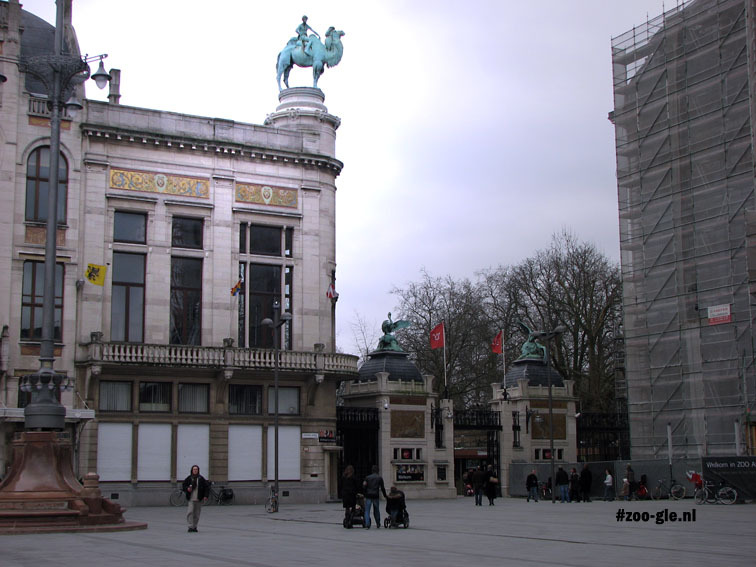 The monumental main entrance at the Astrid Square dates from 1900. 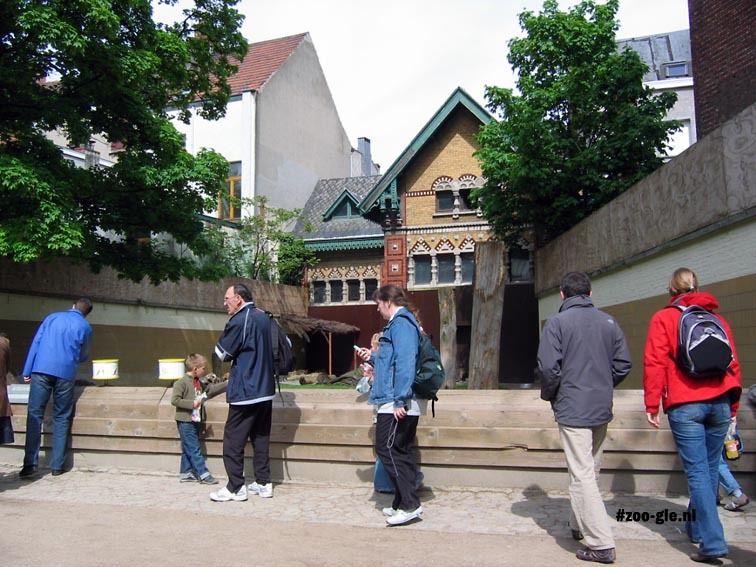 The train station against the zoo is leaning, was constructed between 1895 and 1905. The zoo will find itself more and more sandwiched by the urban area. A loving headlock? The 1911 aquarium by architect Emiel Thielens is positioned as a monolith. Floorboards, joists, columns and ceiling are one piece of reinforced concrete, containing a gallery of 63 by 16 meters. The display windows on either side of the main gallery are provided with ornamental arches and marble. A reef environment has been added to the aquarium area, as part of a major overhaul in 2011. To get the arched window of 4 by 8 meters in, a hole was cut through the wall of the Ploegstraat. The Greek temple containing the reptile building (1911) rests above the aquarium. 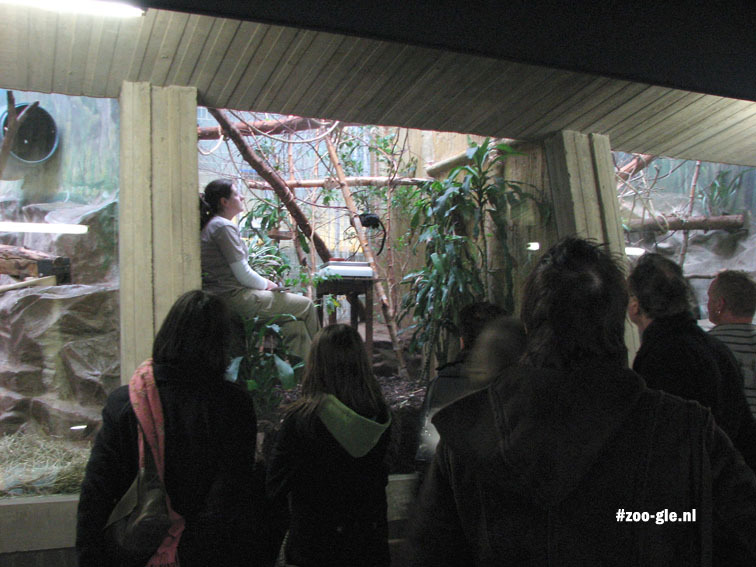 Most people see birds as a symbol of freedom, but in the zoo, caged birds are displayed in spaces where nature is simulated for the pleasure of visitors. Food for thought. 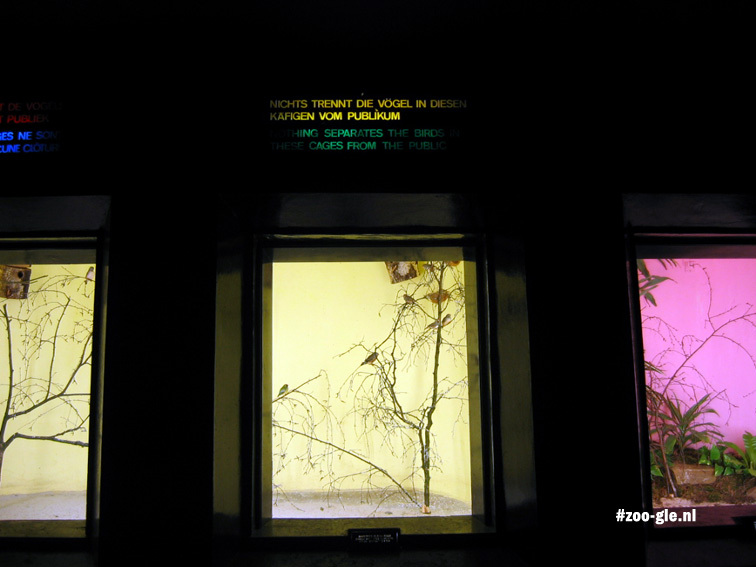 In Antwerp, birds are exhibited in shop windows, brightly lit and without glass panels or bars. A railing keeps the visitors in the dark corridor at arm's length. "Nothing separates the birds in these cages from the public". 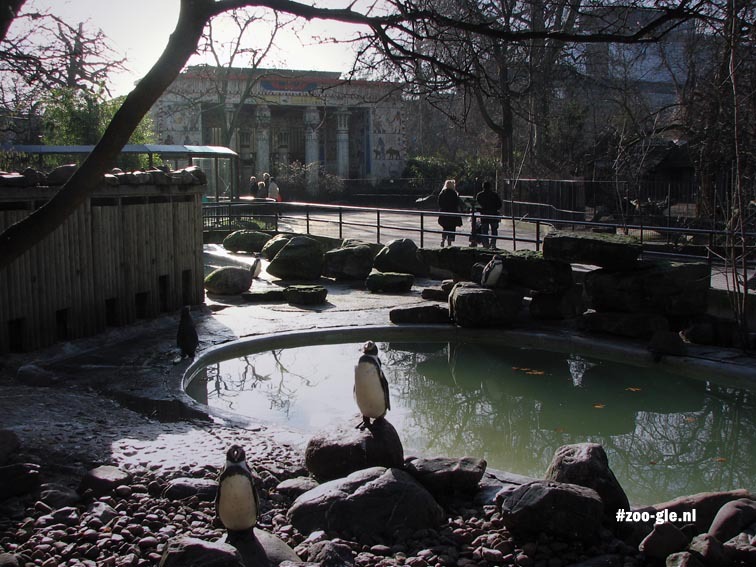 In 1945, the zoo has patented the idea of keeping birds using a light/dark barrier. This bird house was built in 1948. 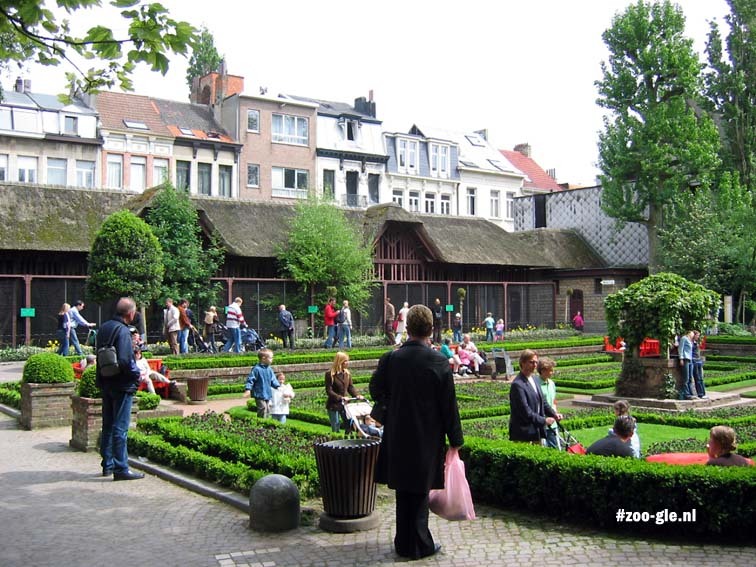 The location of the ape house (1958 and renewed in 1989) was chosen to take advantage of the sunny outdoor space to create terraces in Belgium's cold climate. Sleeping quarters were made above the staff corridor between the outside terraces and the inside enclosures. By giving particular attention to inside and outside enclosures, climate control and climbing equipment, the animal's biological needs were fulfilled in a clean way referred to as bathroom style. 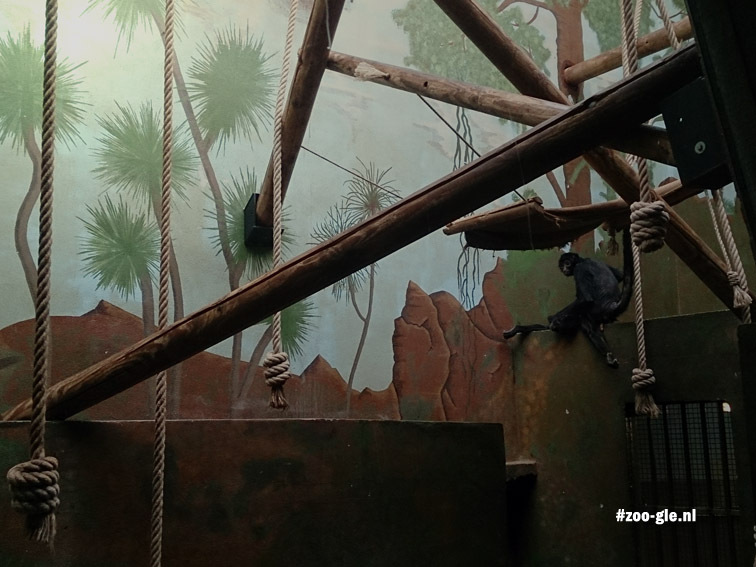 Polyglass was used to protect the apes from visitor's nuisance behavior as well as from exposure to human airborne diseases. 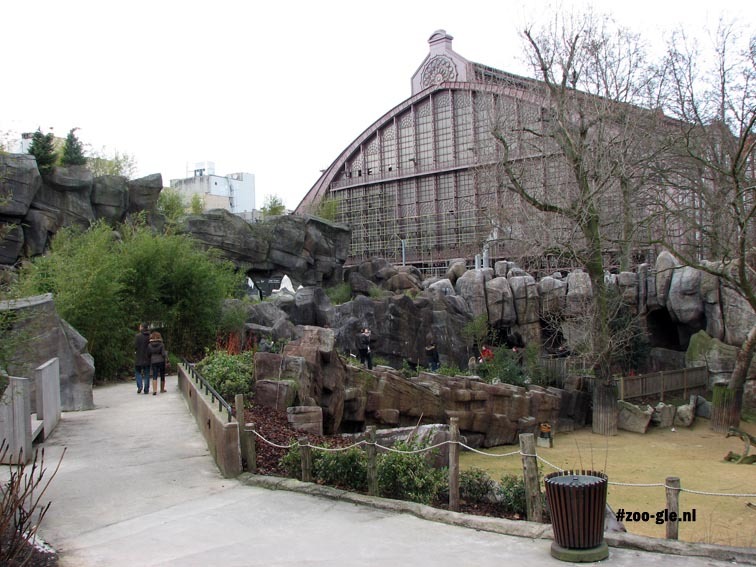 On the outside, a moat separated apes from visitors in imitation of Carl Hagenbeck. "Entering the barren spaces with terrible acoustics was a monotonous and cheerless experience." "The wall is shaped as a horizontal landscape unfolding, solving not only the acoustic problem but also the need for seating and place for interaction and presentation. Playful elements like a termite hill, a bird nest, and a rope bridge create a meandering trail through the pavilion that brings the visitor closer to world of the apes." The principles of landscape immersion - immersing visitors in the specimens' natural habitat - are amply applied. 31 houses are being demolished to make way for a new zoo area. 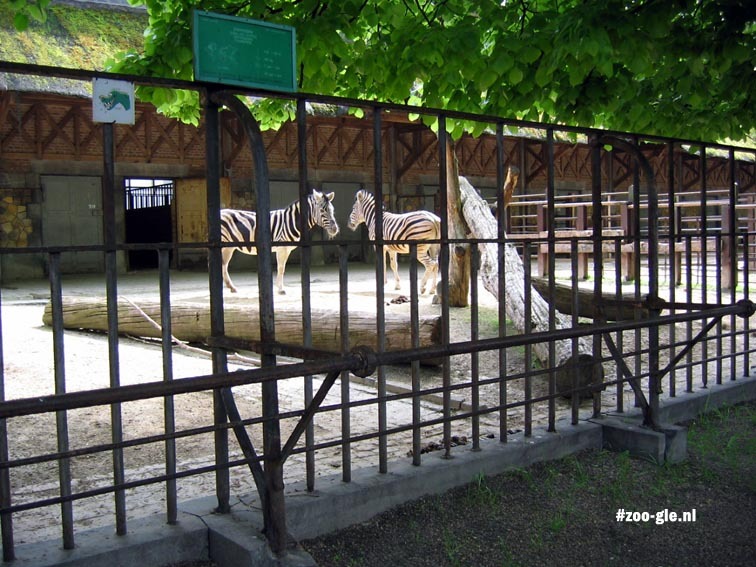 30 million (euros) will expand the space of the zoo about 4 acres. 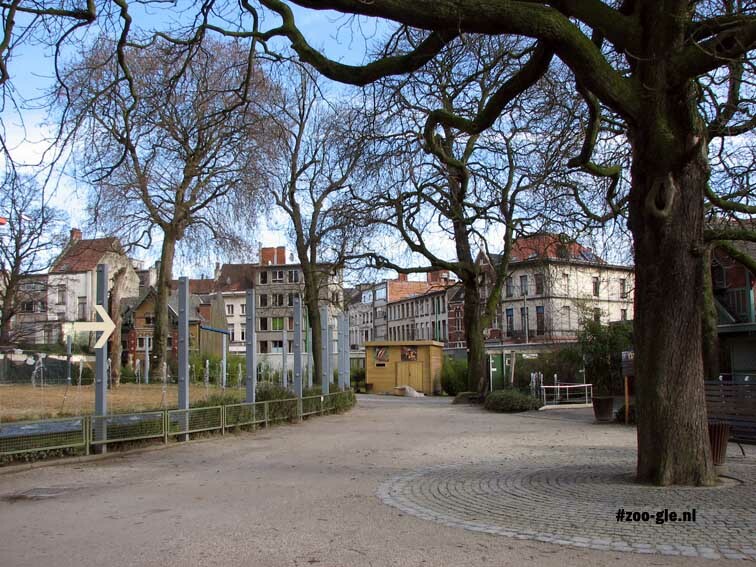 The 10-to-12-year-masterplan has been written in 2008 by architects Robbrecht and Daem; they will realize several phases for the zoo. Some buildings will be visible or accessible from the street. The cow-house will be transformed into zoo academy. The ticket counter will be located farther down the zoo and a garden in front of the zoo will arise. Here the non-visitor can experience the atmosphere. 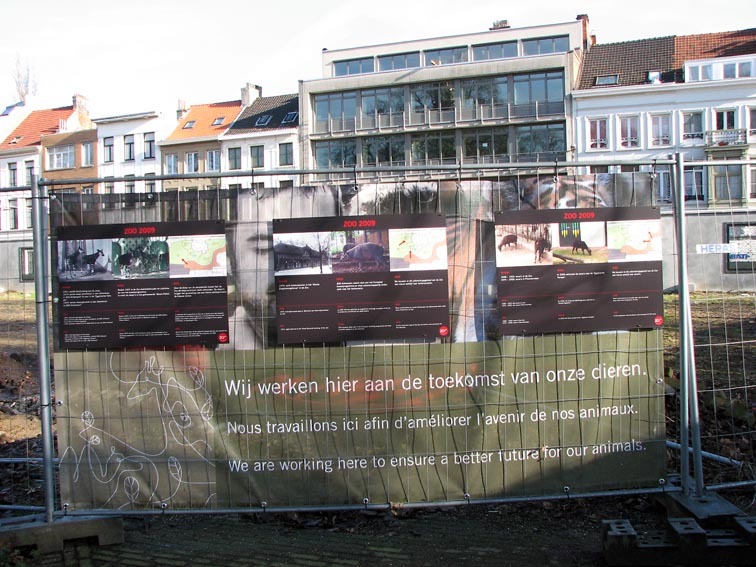 Holes in a wall along the Ommeganckstraat will allow people passing by a glimpse of the lovely zoo scenery. Public life and zoo life are merged into paradise where all humans, apes, and monkeys created are equal. There is a story that Jan Frans Loos in 1940, before being appointed mayor of Antwerp, visits Amsterdam where he is impressed by the zoo. 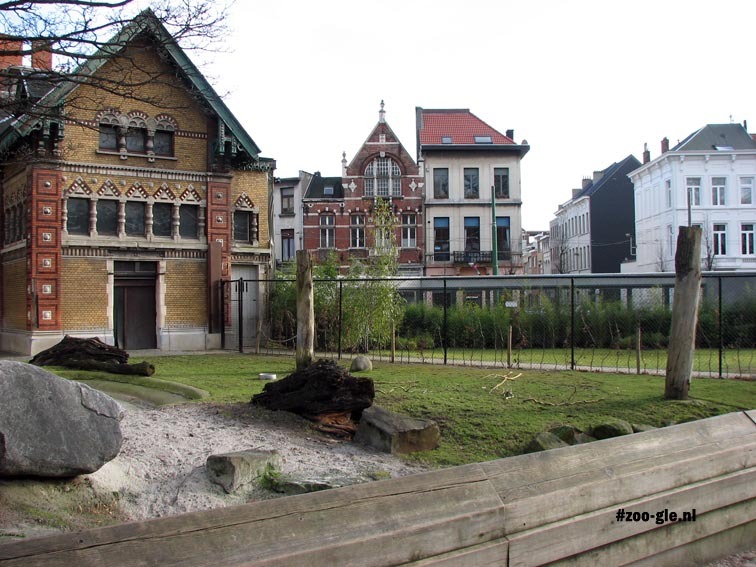 Along with wealthy Antwerp citizens, he founds the pre-zoological society in 1843, later renamed with the more expansive name of Royal Zoological Society (RZS) of Antwerp, and buys the first plot of land, actually a botanical garden with some farm animals and a collection of taxidermied animals owned by the first director, Jacques Kets. 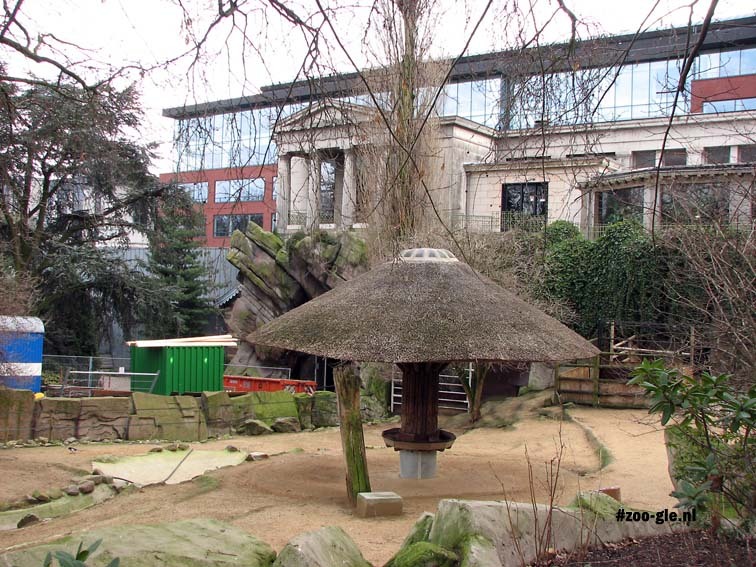 The 10 hectare Antwerpen zoo shows a significant similarity to that other typical urban zoo, Artis in Amsterdam. 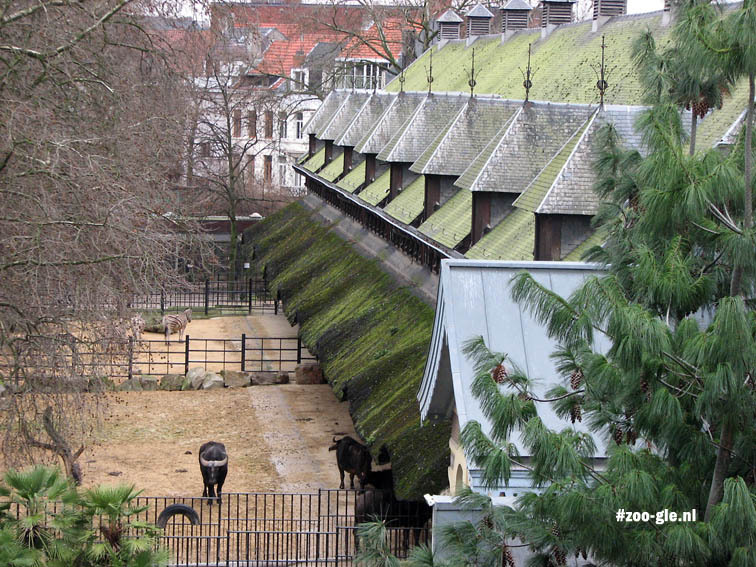 The Antwerp zoo has been established in 1843 just outside the city walls. The entrance fee equaled a working man’s daily wage, but only the rich could visit the zoo. In 1847, the zoo is expanded from 1,59 to 7,59 hectares. The first exotic animal would have arrived in 1847 too, a chimpanzee. Probably the first chimpanzee to dine with a director of a zoo. On January 14, 1984 the entire zoo has been declared a historical monument. Of the original buildings, the Egyptian temple, the okapi enclosure and the raptor bird cage are still in use. 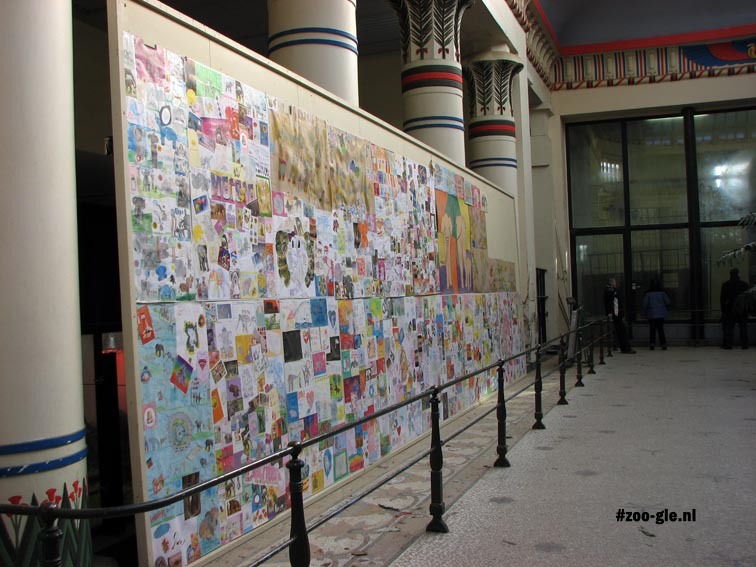 The zoos image bank contains many pictures of yesteryear. Click on 'architectuur'.